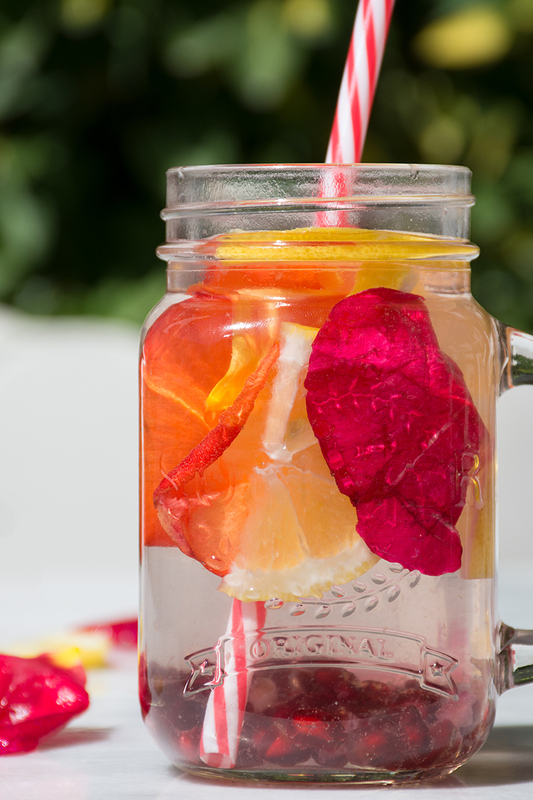 Odyssey's Rose Lemonade to serve at your summer parties! At Odyssey we love making lemonade! Beautiful, delicious and healthy drinks that taste like summer and give a happy feeling. 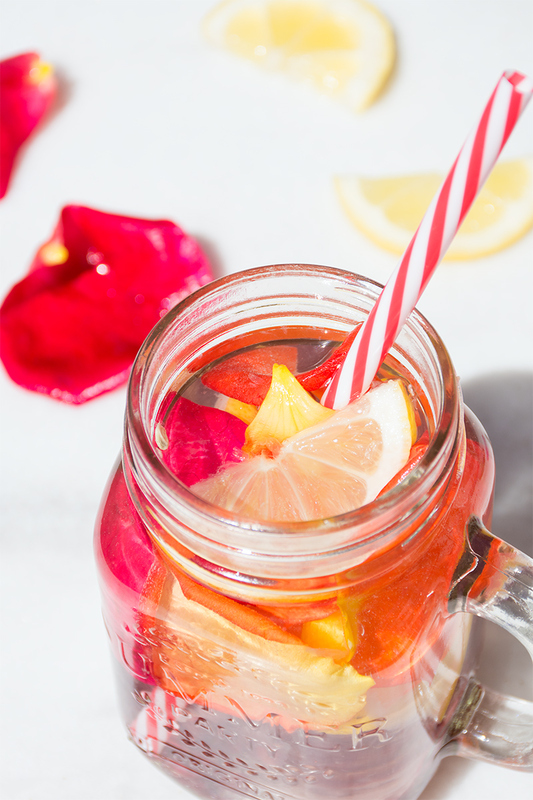 We will share some of these lemonades with you on Katerina’s Kouzina, starting with one that I love very much: Rose Lemonade! It’s made with rose petals, lemon, pomegranate seeds and rose water. It creates a very romantic mood! I love roses, but not all of them. 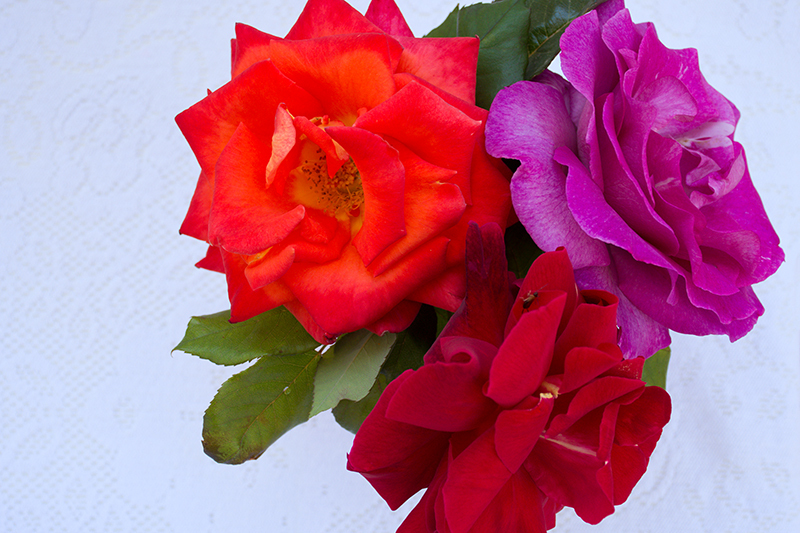 I love the ones that grow naturally in the gardens and have that fantastic fragrance that says: “I am a rose”. I don’t like the ones that we buy from the flower shops that have no smell. For me it’s not about the looks of a rose, but about the smell. 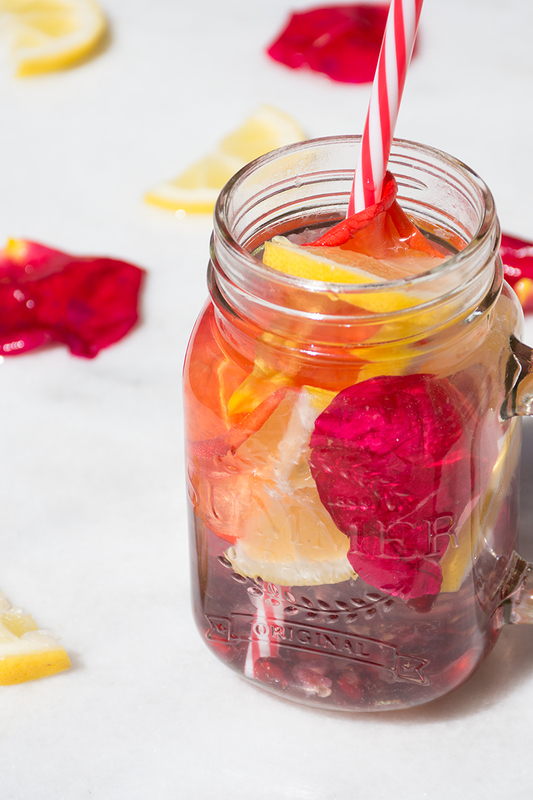 This rose lemonade is inspired by my mother’s neighbour Ka Matina, who always had roses in her garden. You did not even have to touch these flowers to smell them; just passing by her garden was enough to be surrounded with an overwhelming rose aroma. She took such good care of her roses that another neighbour asked her to take care of her garden as well. Ka Matina was a person with green fingers and a heart of gold. She always had a smile on her face and told dirty jokes. Her husband loved her and they had the type of relationship that you read about in novels. I remember as a child that she would sit with my mother at the stairs in front of her house, doing their favourite sport: embroidering while saying hello to everybody that passed by. As you will understand, for this rose lemonade it’s very important to gather rose petals with a great smell. Together with the smell of the rose water it will melt your heart! 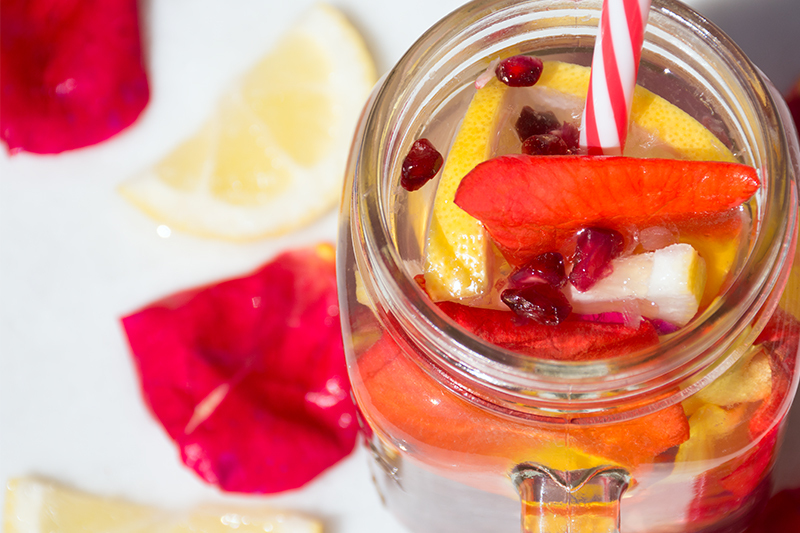 The pomegranate seeds and lemon are full of antioxidants and vitamins that make this such a healthy drink. Curious about our other Odyssey drinks? Keep your eye on the blog! Fill a can with the water. 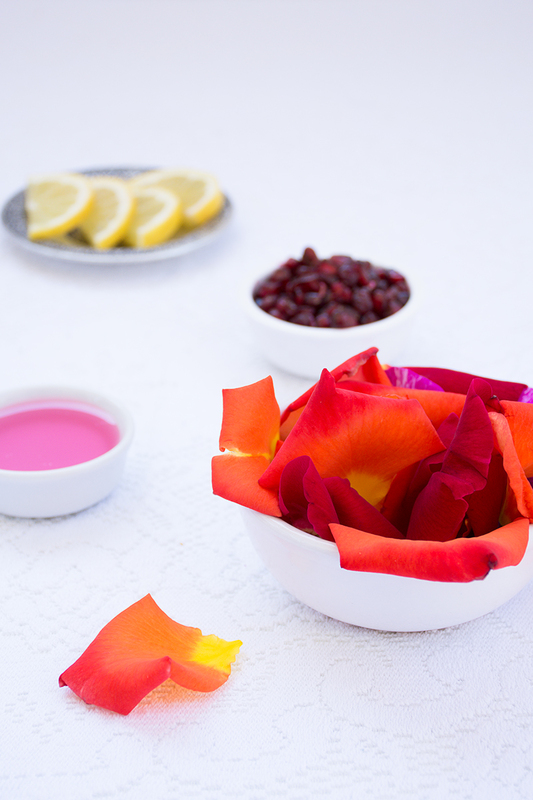 Add the rose water and stir a bit; add the pomegranate seeds, the sliced lemon and the rose petals. Put the can a night in the refrigerator. Enjoy your Rose Lemonade the next day!